Frisco is rushing headlong into spring, and before you know it, pools will be open for business. But parents who worry about their kids splashing safely can relax; Frisco’s swim lesson offerings have grown with the city. Family businesses, lesson guarantees, backyard instructors, indoor facilities — you name it, our Frisco’s got it. And to help you find the lesson that is just right for you and your kiddos, I researched them all! Here is our round-up of some of the best local options to get your family pool ready. If you have kids in Frisco, chances are you’ve heard of “Ms. Pat.” Pat DeLange, the owner of FriscoSwim, is a fixture in the local swimming community. She’s a life-long swimmer, competing in the sport since she was just five years old. In 2006, Pat was coaching for the FASST swim team and working as a paraprofessional at Corbell Elementary when a friend suggested she teach swim lessons. And FriscoSwim was born! The business, which started with just eight students each week in her HOA pool, has now expanded to an average of 100 students per week during the summer in their private, indoor, heated pool. We serve the community by providing water safety instruction and life-changing swim lessons to students from age two to adult, as well as those with special needs. 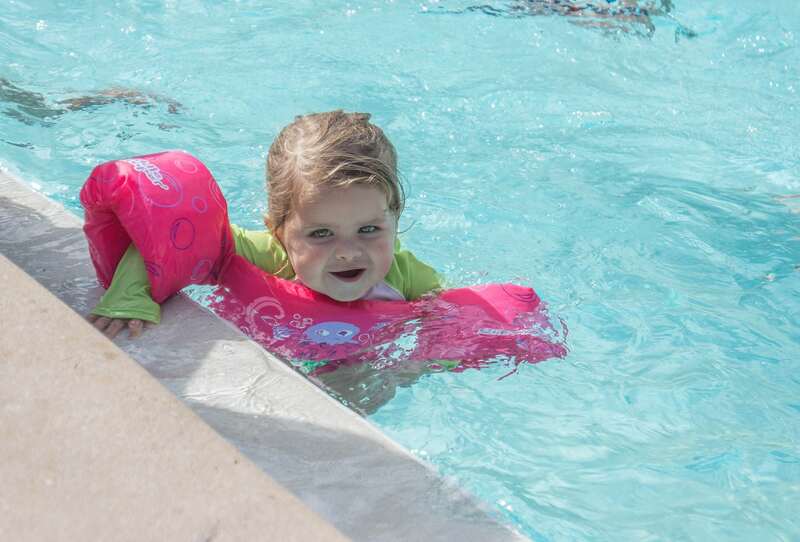 Ms. Pat’s swim lessons are the perfect start to summer. My son was swimming independently after one week of lessons! The swim instructors are patient with the kids and teach skills that ensure safety and fun around a pool. Lessons at Emler have given my children a solid foundation and love for swimming. Most importantly, they’ve learned how to be safe and confident in the water which gives me more peace of mind. The teachers have been extremely patient and take their time to ensure my children really grasp the skill before moving on. Operations Director Devan Tovar explains what sets Emler apart is their “Emler Sure” guarantee. This means if a student participates for a full semester, they will meet the swim goals of the class, or instructors will work with the student to meet those goals. Semesters closely follow the school calendar and last 20 weeks (summer semesters are 12 weeks). As Frisco expands, it is becoming more important to be accessible to families. Our new location will make it easier for students all over Frisco to take classes with us. TFA uses SwimAmerica Swim School, a goal-oriented program divided into 8 stations of skills. As soon as swimmers progress from one level to the next one, they are recognized and immediately moved up to the next station. All three of our kids started in the Swim America lesson program with Texas Ford Aquatics. With kids at different ages and swimming abilities, there was a level appropriate for each of them. TFA also worked with us to get all kids swimming at the same time and place. They’ve now all moved through the SwimAmerica levels and are competing with TFA in the U.S.A. Swimming program. Within SwimAmerica, there are two stages made up of 8 stations. Stations 1-5 are learning to swim, and Stations 6-8 are stroke and technique school. Before a student can register for lessons, they must be evaluated by an instructor and placed in a station. The Frisco Athletic Center is an award-winning, family-focused fitness and aquatic facility provided by Frisco Parks and Recreation. With more than 350,000 gallons of water, the FAC is home to the Frisco Water Park, pool parties, and swim lessons. Taught by FAC staff, the classes offerings range from Parent and Infant classes all the way to Adult lessons. Find course descriptions, pricing, and dates on the recently improved online registration system, or in the new edition of the FriscoFun guide that is delivered to your mailbox each spring! There are two Aqua-Tots locations in Frisco. 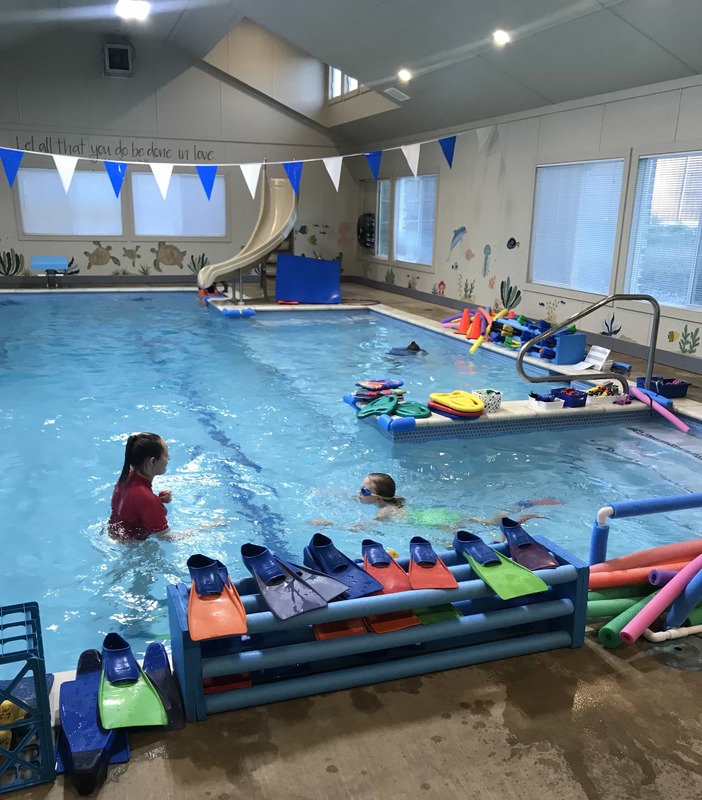 The indoor pool is heated to 90 degrees, and offers a clean, family-friendly teaching environment for year-round lessons. Classes are available for children ages 4 months up to 12 years. 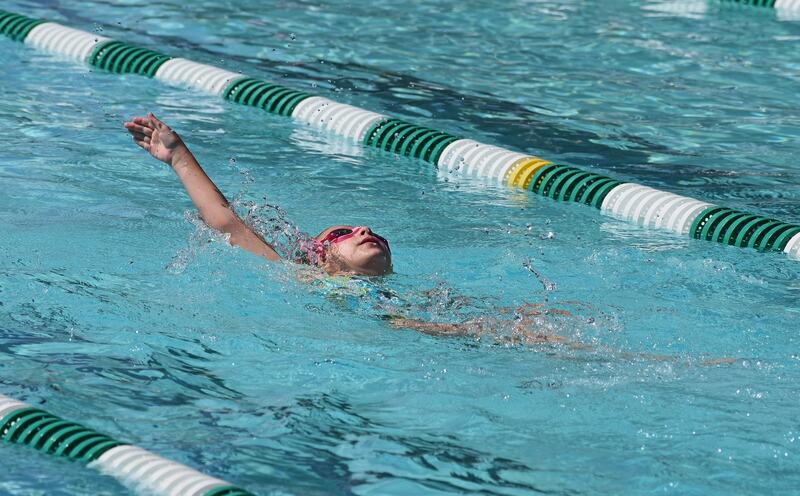 Decades of instructional experience have molded their comprehensive swimming curriculum. 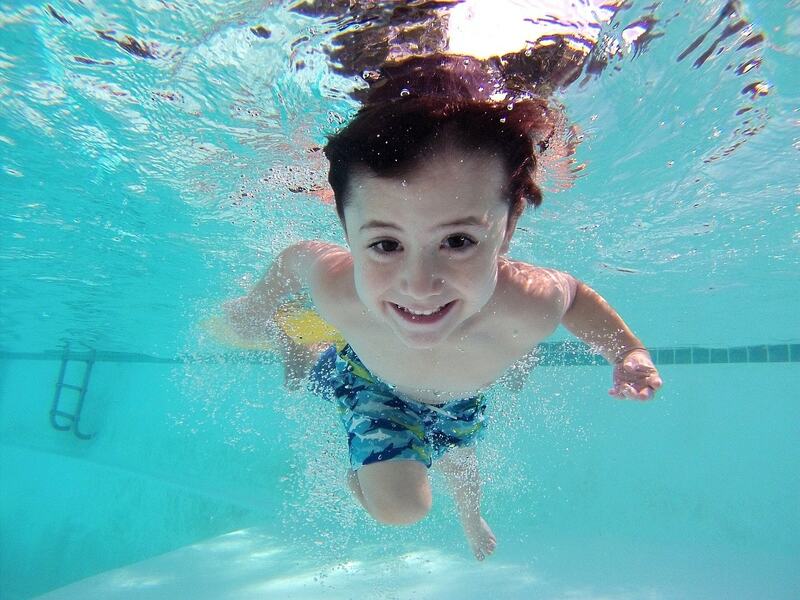 As an active member of the United States Swim School Association (USSSA), Aqua-Tots regularly participates in educational opportunities to maintain a high teaching standard in the swim industry and every one of the Aqua-Tots instructors goes through over 30 hours of intensive classroom and in-water training. I cannot say enough about our affection for Ms. Erin. My daughter, Colbie, took swimming lessons from her over several summers. She’s patient with kids and parents both! Her knowledge of how to calm fears and teach technique and basic proficiency is amazing. Group lessons are no more than four students at a time and are taught Monday through Friday. Sally’s Swim School: Sally Pena has been teaching swimming for more than 35 years. She teaches both private and small group (no more than 3 kids in a class) lessons and the session is 5 days, Monday through Friday. If you’ve taken lessons from someone you’d recommend who isn’t included in this article, please leave a comment about them below! Happy Swimming!